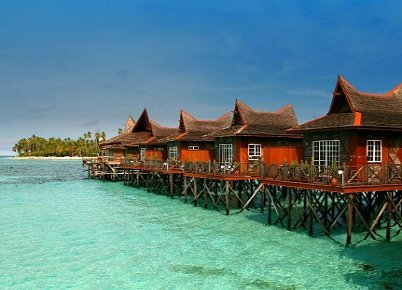 Mabul Water Bungalows is a place that makes the outside world seem a million miles away. 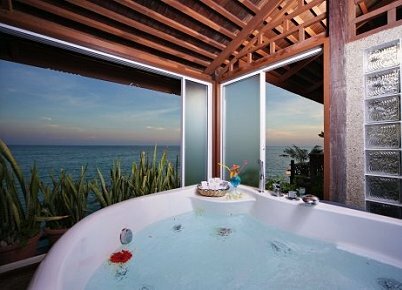 The deluxe chalets stand over the clear shallow waters and offer luxury and privacy like nowhere else on Mabul island. The exquisitely furnished chalets are built with traditional architecture in mind. 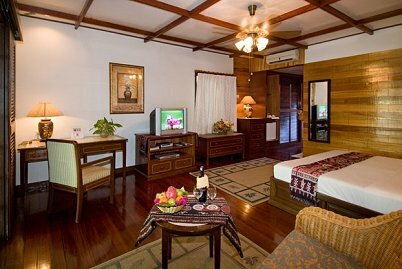 In addition to the 15 bungalows, the resort also offers one Bougain Villa suite. This suite comes with a large oceanfront bathroom and jacuzzi, private access to the sea, a large living room and direct broadband internet. This suite comes with a large oceanfront bathroom and jacuzzi, private access to the sea, a large living room and direct broadband internet.